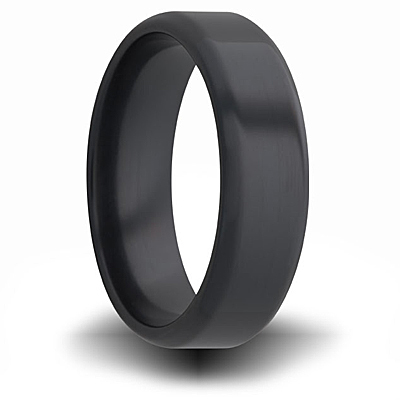 Black zirconium 7mm ring has rounded edges. Flat center. High polish. Made in USA. Comfort fit.